Today, I’d like to do something a little different. One of the reasons my webinars are so popular, aside from being free and HRCI approved, is that I help shift the focus of my attendees from one that’s strictly HR based, to one that takes a strategic look at the bigger picture. What do I mean by that? Well, so much of the meat of my presentations stems from my personal experience as an Internet Marketer and also as a CEO who works with thousands of HR clients. Because I serve as a bit of a liaison between both worlds, I know what it takes to get to the other side. Using this information, I can easily present HOW you can become better hirers – or as I like to say – hiring gurus by using the web to your advantage. Starting today, we’re going to be focusing on a few primary topics, or HR pain points. Each month, we’ll select one of these key ideas and break it down into much smaller and more manageable pieces so that, by the end of the month, you’ll not only grasp these concepts from a theoretical perspective, you’ll actually have a practical application for how to use these ideas to transform your hiring process. 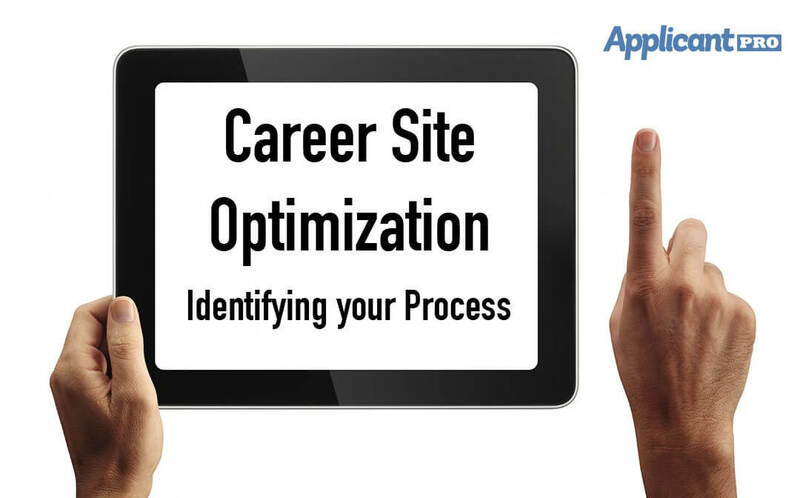 This month’s emphasis is on Career Site Optimization. So, what is it? I assume most of you by now are familiar with what a career site is and I’m hoping that the majority of you have one. If not, close this window immediately and get either your IT department or Marketing department involved to build one, like yesterday. Well then, what do I mean by optimization? This is a word I throw around a lot around here because it plays a fundamental role in my experience as an Internet Marketer, or really, anything having to do with data. Optimization means to make something as fully perfect as possible or, in other words, to function at its maximum capacity. What we’re trying to do here then is to create a career site that will reap the maximum benefits possible for you as HR professionals and your organization. And in HR speak, when you’re referencing anything hiring related, you want to drive the highest number of qualified applicants you can to your site to apply for your open positions. Because, at the end of the day, the more applicants you can entice to apply, the greater access you’ll have to assembling a quality pool to choose from, right? From a sheer numbers perspective, this increases your likelihood of success for hiring a rock star employee which in turn builds a better company. How do we accomplish this? In my experience, there are two guaranteed routes to success: you’ve got to make marketing (research) based decisions versus emotional decisions; and you have to choose some key hiring metrics to measure and then improve upon those metrics to optimize your overall hiring process. We’ll talk more about how to do this in the next post. In the meantime, be thinking about what areas you’d like to improve upon. Or rather, how do your measure your hiring success? Is it decreasing time-to-fill, lowering your recruiting budget, or decreasing employee turnover? Or do you even have a set of boundaries to help guide your focus? Once you’ve identified which metrics are your core drivers, I’ll then walk you through how to track these goals next week so you can custom fit an efficient hiring system to best suit your needs. Check out our Webinars page so you can see these posts in action and get free HRCI continuing education credit.